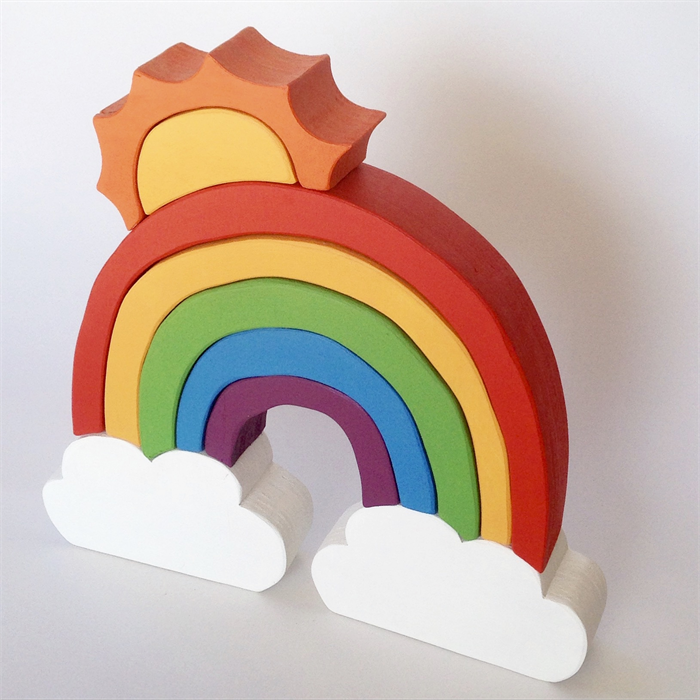 Cloud Rainbows also come in BRIGHTS (please see seperate listing to order a the bright version. 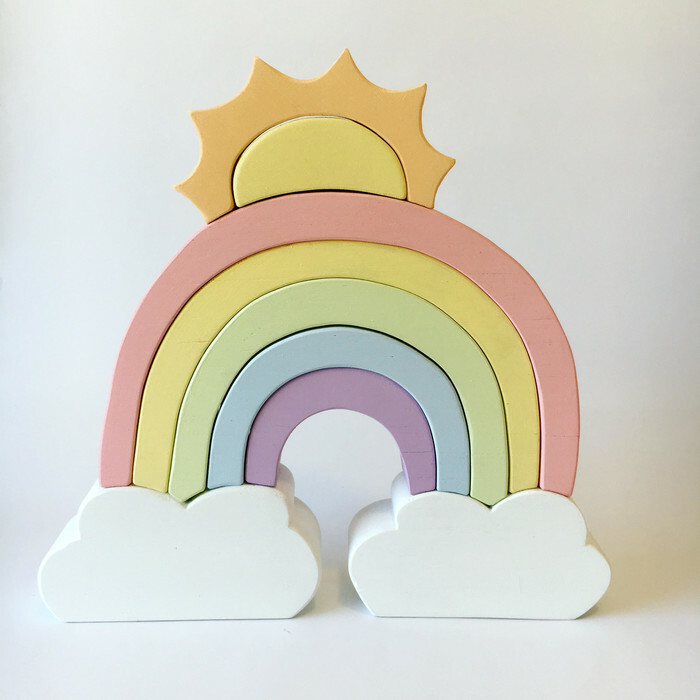 Cloud Rainbows are hand cut out of plywood, sanded then hand painted with non toxic acrylic paint and finished with natural beeswax. This all happens in our home workshop. 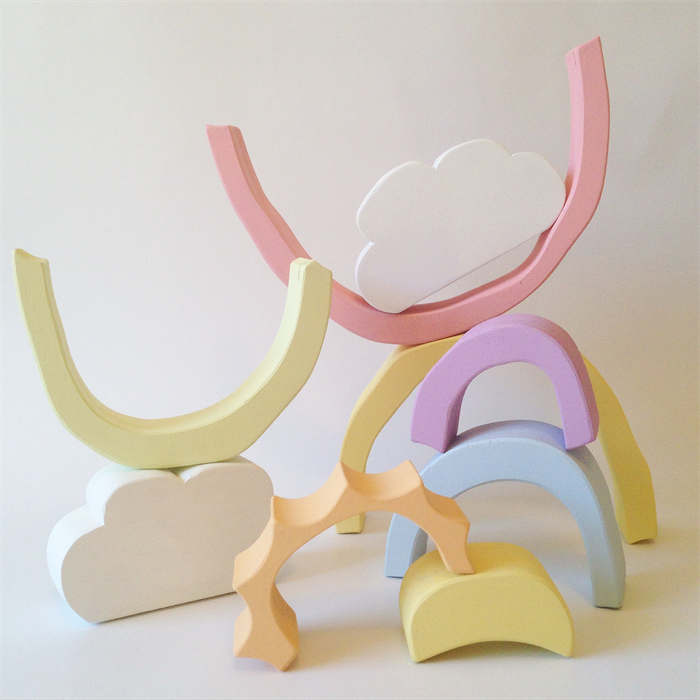 These are ROOM DECOR, gentle play with supervision.